Why 90% of the companies are not getting desired result from Insulation Board in their Vacuum Furnace ? Although there are lots of Graphite Product Manufacturers and Suppliers Companies in India. But to choose of an appropriate insulation board has always remained the critical task for anyone. The Insulation boards should be energy savings with faster heat-up process, Increase productivity with shorter running time & no outgassing, Increase productivity and impurity levels should be lower. There are different types of insulation boards available like Foil Coated, Graphite Coated, CFC Coated, which insulation board should be used for a particular application is very important to know for everyone. 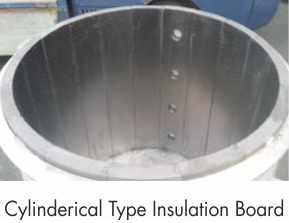 Under the proper & correct guidance for each one of insulation boards, we could accelerate the performance of insulation and furnace. One can opt for AMC (Annual Maintenance Contract) for Vacuum Furnace, which will increase the life of vacuum furnace and give better heating insulation. What types of Nuts & Bolts to be used while installing insulation board. 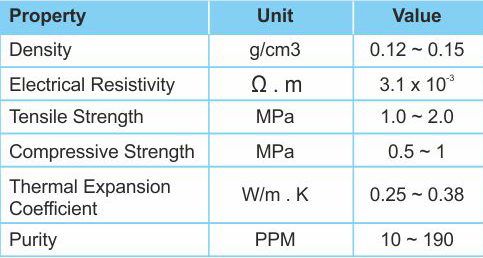 Is it CFC Graphite plays a very important role in Furnace. Insulation board are materials used to prevent the passage of heat to escape out.It is used in high head treatment processes like Solar Cell Manufacturing, Vacuum Furnace etc. 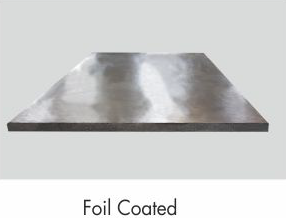 We provide various types of coatings on Insulation Boards such as graphite coated, foil-coated,non-coated etc. We provide customized insulation boards of various shapes such as blocks, rings, plates etc. Soft felt is an insulation material made up of graphite fibers and a carbon-based binder.It is used in high temperature furnaces as induction heated vacuum furnaces, sintering furnaces for hard metal,graphite furnaces etc. We also offer soft felts in sizes tailored to the individual customer requirements.